Classes are held at Stone Steps, a beautiful blanket warehouse that has been lovingly converted into a modern dance centre with two fully equipped studios also offering changing facilities and cloakroom. Created over 25 years ago by the founder of the school, Jill Stew, the school has grown from one small class so that today there are over 300 pupils. Principals Miss Henry and Miss Churchill with additional members of staff are highly qualified in their specialist genre. 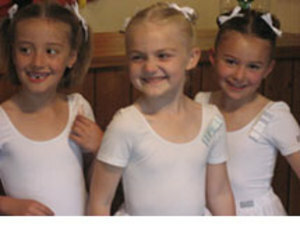 Pupils are offered classes in Classical Ballet (RAD Syllabus) from the age of three. Modern Dance, Tap Dancing (ISTD Syllabus), Contemporary Dance, Jazz Dance, Drama classes (LAMDA) and Musical Theatre are also available. In addition to children's classes we offer adult classes in Ballet and Tap. These classes are very popular, particularly with those who now have the opportunity to achieve a lifelong ambition to dance! Past students have gone on to full time vocational ballet schools and musical theatre colleges some of which are currently working in the industry. Many current pupils are encouraged to audition and are successfully accepted onto associate programmes to attend weekend classes in London, such as The Royal Ballet, Central School of Ballet and London Junior Ballet. Fees are payable at the beginning of every term, which consists of 12 weeks. Reduced rates apply for pupils who attend more than one class a week and also for families. The studio is a place where lifelong friendships are made and a love and enjoyment of dance is created.